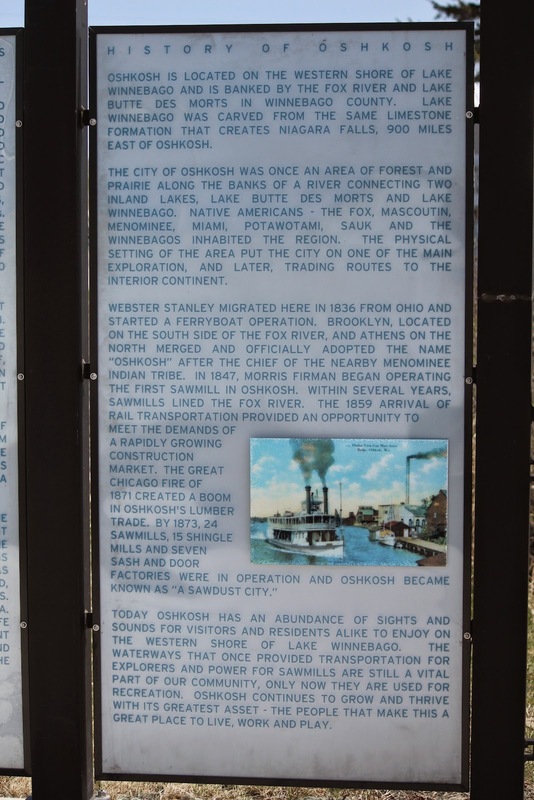 This location is Overlook 12 (see map below) in a series of historical marker kiosks that comprise the Tribal Heritage Crossing of the Wiouwash State Trail. Click here for more information about the Tribal Heritage Crossing project and links to photos / transcriptions of all markers on the Trail. The marker consists of the panel to the far right.